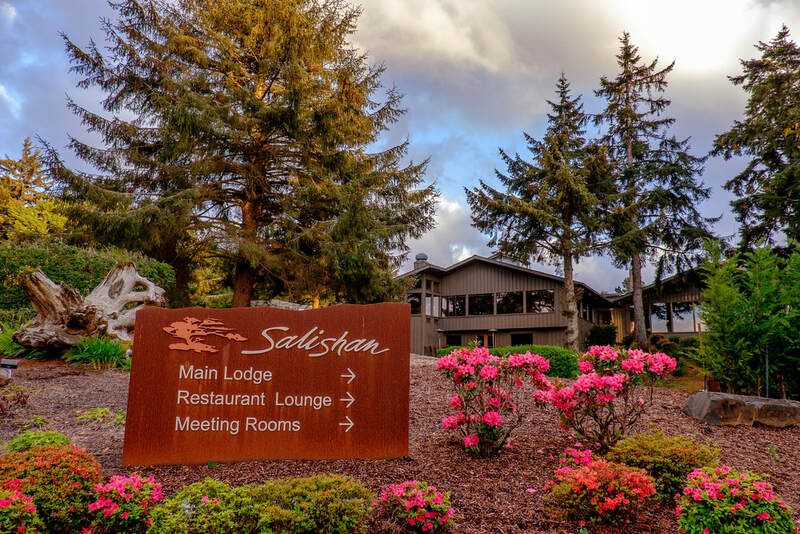 The conference owes its name to the Salishan Spa & Golf Resort, which is a four-star lodge located on the Oregon Coast shore. The lodge is nestled on a hillside surrounded by numerous hiking trails and connected to Gleneden Beach via a private beach access trail. The resort also features an 18-hole golf course, luxury spa, swimming pool, whirlpool hot tub, and year-round tennis center. The nearest major airport is Portland (PDX), which is a two hour and twenty minute drive. For the more scenic route, take I-205S from the airport to I-84W towards the city. Then take I-5S to OR-99W. Continue onto OR-18/OR-233, which eventually merges with US-101S. Follow US-101S until you reach the resort. This route will take you by the Evergreen Aviation & Space Museum. An alternative route is to continue I-5S towards Salem. Exit on OR-99E BUS toward Salem parkway, and then take OR-22W. Then take OR-18W to US-110S. This route will take you by the Woodburn Premium Outlet mall near Salem.